Our desire is to leverage our expertise to serve our clients and their families beyond the clinical hour. 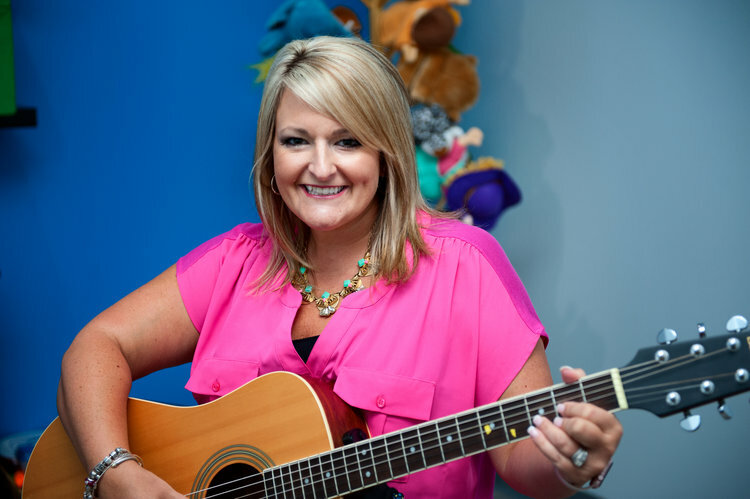 We have been serving families around the atlanta areA with music therapy for 14 years. Georgia Trend 2018 "Top 40 Under 40"
Alison Williams hails from the Mississippi Delta where she received her Bachelor of Music Education degree from Mississippi Valley State University in Itta Bena, MS. She also received her Masters of Music Education with concentration in Music Therapy from the University of Georgia in December of 2010. Alison first came to us as an intern and has been an official member of our staff as a music therapist for almost five years. She is a licensed music educator who loves working with children. Alison is a gifted singer who believes that her mission in life is to share the gift of music with others. Chelsea Kinsler completed her Music Therapy degree at The University of Georgia. She then completed her Music Therapy internship with the Fulton County School System working with special needs children aging from preschool to high school during the 2011-2012 school year. Chelsea is the clinical director for Therabeat Inc., and has worked at Therabeat,Inc. for 7 years. She loves working with children and loves coming to work everyday! Chelsea resides in Marietta with her husband Chris and baby Rhett! Hayley received her Bachelor's Degree in Music Therapy with a focus in voice from The University of Georgia. She completed her internship at Therabeat Inc. and is so thankful to be a member of Team Therabeat! Hayley resides in Roswell with her husband, Taylor. Perry received her Bachelor's Degree in Music Therapy with a focus in voice from The University of Georgia. She completed her internship at Therabeat, Inc. and is thrilled to now be part of the team! She is always excited about growing in the field of music therapy, and is so thankful to The Lord for the gift of music to share with all ages and abilities! Morgan earned her Bachelor’s degree in Music Therapy with a focus in bassoon from the University of Georgia. She completed her internship at Trident Medical Center in Charleston, SC, focusing on a variety of populations. Morgan is very grateful for the community she is surrounded by at Therabeat and In Harmony, and loves using the incredible gift of music to achieve therapeutic goals with her clients! Holly Huggins is originally from Fitzgerald, GA and earned her Bachelor’s Degree in Music Therapy with a focus in voice at the University of Georgia. She enjoys playing guitar, piano, and ukulele. She also loves reading and spending time with her family. Holly is very excited to be working in Early Intervention with Therabeat, Inc. and filling in for our therapists as needed. Mia earned her Bachelor's Degree in Music Therapy with a focus in bassoon from The University of Georgia. She completed her internship at Therabeat Inc. and is excited to continue her career at the place she loves the most! She is grateful to God for the education and opportunities she has received, and for the power music has in healing and connection! Sibyl McNair comes to In Harmony after staying at home with her children and doing medical transcription from home. She is very excited to be a part of the In Harmony family. Sibyl lives in Canton and has a grown son, daughter, and a beautiful daughter-in-law. When she is not working, she enjoys spending time with her husband David, volunteering at church, cooking, gardening, and reading. Cindy has been a Georgia girl since she was 9 years old. She has had a variety of careers including court reporter, kindergarten teacher, and worked in the retail field as a visual specialist. Cindy enjoys running, hiking, biking, camping and anything outdoors with her husband. She has three grown children and one granddaughter. Anna Carter is originally from Blackshear, GA and is currently a student at the University of Georgia with a focus in Horn. She enjoys cooking and being with her friends and family. Two of her biggest passions in life are music and helping others, so she is excited for the opportunity to learn and grow as an intern at Therabeat! Alyssa is a student at William Carey University in Hattiesburg, MS. She is originally from Eclectic, Alabama. At Carey, Alyssa’s main instrument is voice, but she has also loved playing the guitar, piano and ukulele. Alyssa chose music therapy because of her passion for music and helping others. She is thankful for her family and friends who have supported her in her journey of becoming a music therapist and is so thankful that she gets to continue her journey as an intern at Therabeat Inc.!